The grasslands are a series of open fields located all around Konoha, they are mainly located at border areas between the Land of Fire and other countries. Basically, these grasslands signify the change from one climate to another. Konohagakure (木ノ葉隠れの里, Konohagakure no Sato; Literally meaning "Village Hidden by Tree Leaves"; also known as "Village Hidden by the Leaves" or "Hidden Leaf Village") is the hidden village of the Land of Fire. 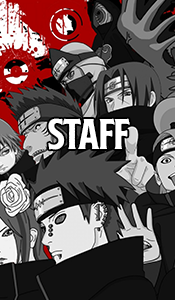 As one of the Five Great Shinobi Countries, Konohagakure has a Kage as its leader known as the Hokage. There have been five official Hokage, the most recent being Tsunade. On a mountain overlooking the village from the north exists the Hokage Monument. Although Konoha which is known as the most powerful village possessing an elite shinobi army corps, much like the country in which it resides, has been relatively peaceful since the end of the Third Shinobi World War. The shinobi from this village seem to be proficient in Fire Release techniques.